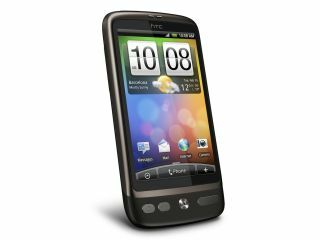 3 has decided that it will also be releasing the HTC Desire for the UK - long after it rivals did the same thing. The HTC Desire was unveiled to the world by the Taiwanese manufacturer on Tuesday, and T-Mobile, Orange and Vodafone instantly announced they would be stocking it in the UK. O2 exclusively revealed to TechRadar it would be doing the same thing the next day, but now 3 has decided to join the party as well. However, it seems likely that 3 will be launching the phone last of all the UK networks, with only a 'Spring' UK release date mentioned, rather than March for T-Mobile and April for the rest. We can only assume that 3 was still in talks to range the device (which will arguably the most high-end smartphone on its books) when it was unveiled - otherwise waiting until now to announce the Desire is confusing. Sylvia Chind, head of branded devices at 3 said: "HTC is producing some fantastic internet phones at the moment, and are really leading the pack. "Like us, they really understand what consumers want from the internet on their phone - a flexible and intuitive interface, coupled with a reliable 3G network that offers a strong and speedy connection. "Our network is growing every day and the HTC Desire is one of many internetphones set to enter our range this year to really make the most of it."